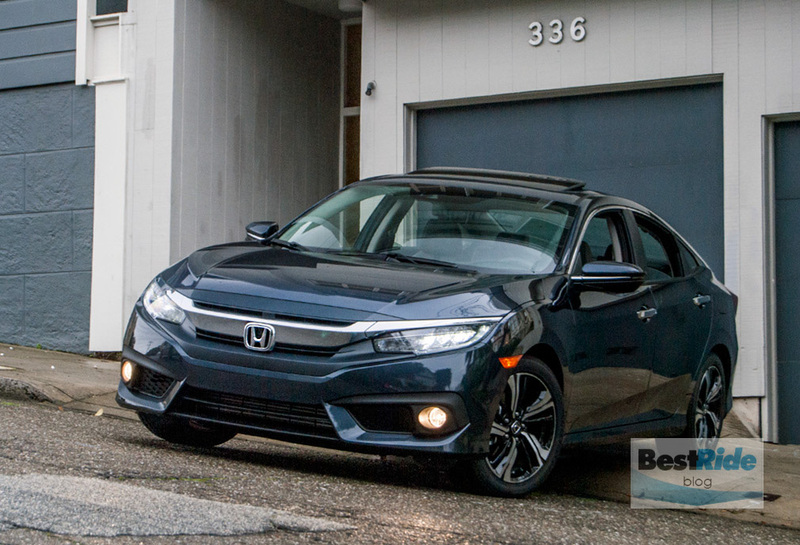 REVIEW: 2016 Honda Civic 1.5T Touring – Back on Top? 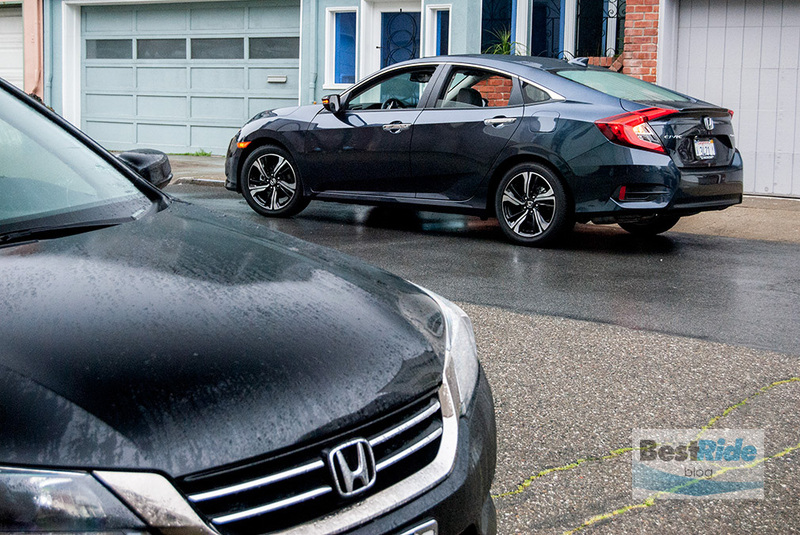 The Civic is a default choice among compact cars. Does the 2016 redesign make this Honda more compelling? 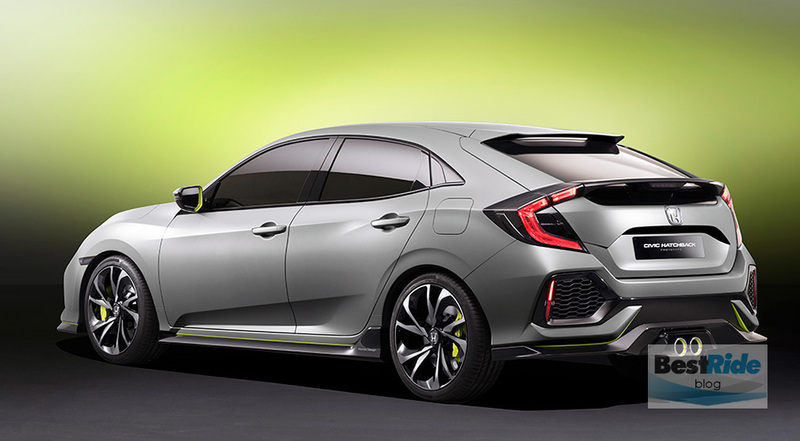 Model year 2016 is an exciting one for the Civic. The redesigned sedan debuted in 2015 with striking styling and an impressive array of safety and technology features. …and a concept version of the upcoming hatchback will be shown later in March, at the 2016 New York International Auto Show. The Civic sedan’s current base price range (including the $835 destination charge) runs from $19,475 for the LX 2.0-liter to $27,335 for the Touring 1.5-liter turbo. 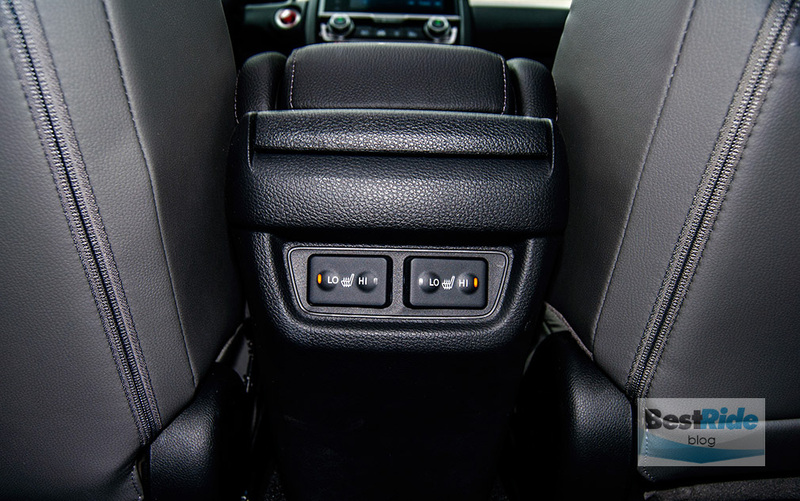 A manual transmission is available only on the base 2.0-liter LX. 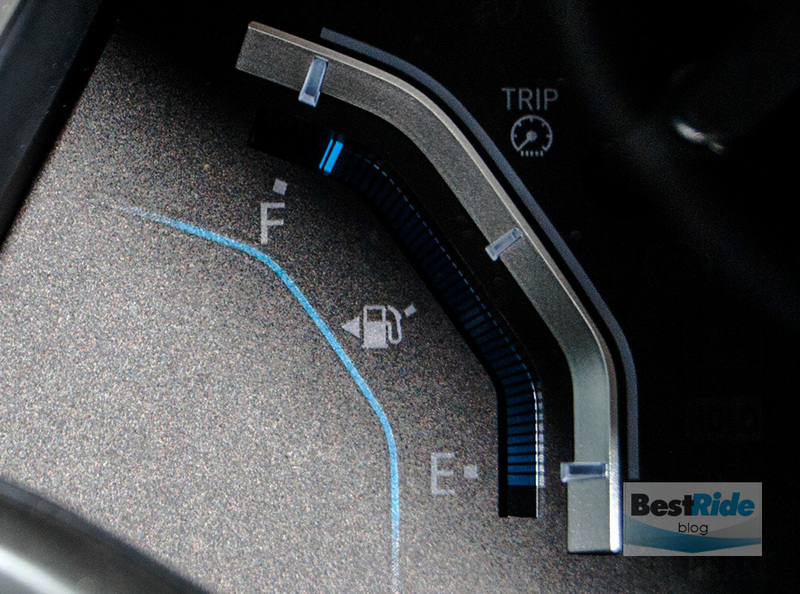 On the other hand, the comprehensive Honda Sensing safety package is available on all trims. 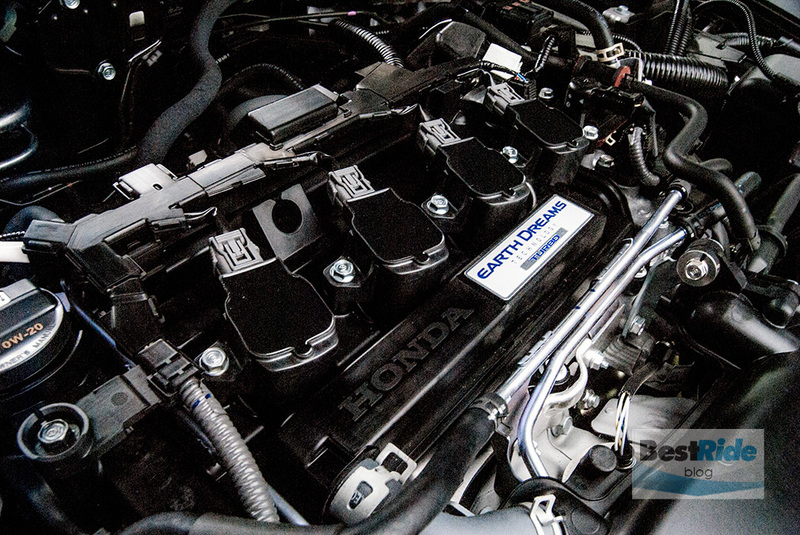 So for the cheapest LX, after adding to it the $800 CVT transmission (which is standard on all other Civic trims), you could then spend another $1,000 to get Honda Sensing. 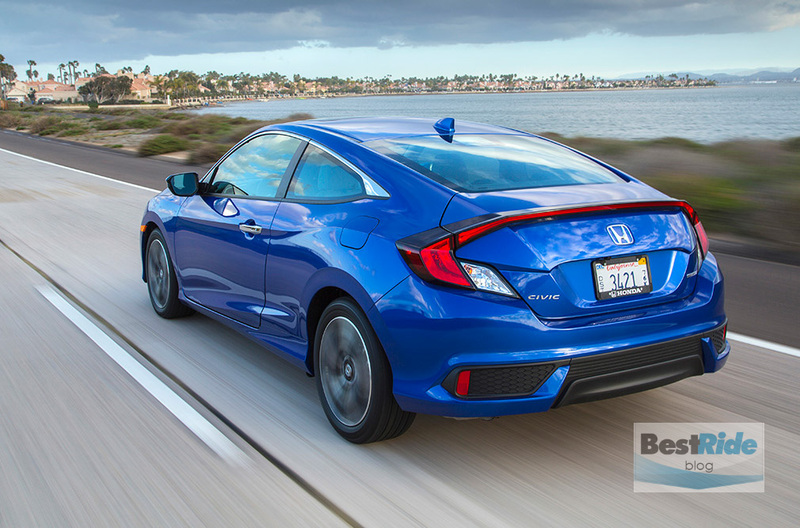 This reverses the trend of safety suites being offered only on the most expensive trims, and it means that budget buyers can have a Civic with Honda Sensing for just $21,275. Nice that Honda is leading the democratization of this broadly beneficial safety technology. Our car for this review was the top 1.5T Touring, which comes loaded with everything the factory can put on a Civic. Additionally, you could specify dealer-installed upgrades like spiffier 17-inch wheels ($1,196) or a clear nose mask ($158). Our car had none of that, so it listed for $27,335. Civics offer a choice of two four-cylinder engines – a 158-horsepower, 2.0-liter four (LX or EX), or a 174-horsepower, 1.5-liter turbo four (EX-T, EX-L, Touring). 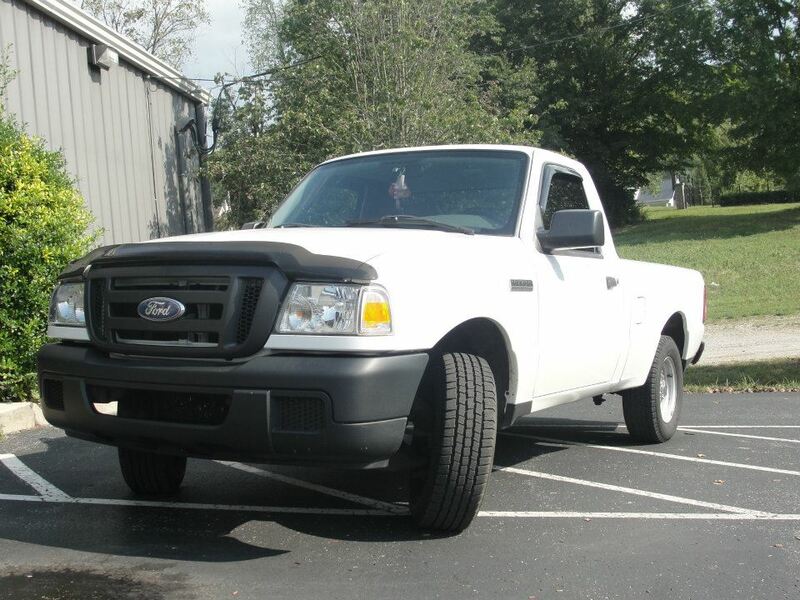 The test car had the latter, and its performance was a mixed bag. Honda notes that this turbo’s torque output hits its 162 lb-ft peak as low as 1,700 rpm, which should have given this Civic plenty of scoot off the line – but it didn’t. Instead, this turbocharged Civic felt slow to start, and acceleration seemed to dip into a shallow well at the point where you’d crossed the intersection and were ready to accumulate more speed, which reinforced the lacking response. After that period, the Civic would feel lively. Highway speeds found the turbo and CVT transmission occasionally working at odds, and I found myself flooring the accelerator when more power was needed, to bypass the muddiness of a part-throttle request. On the plus side, the Civic was quiet when it settled to a cruise. I look forward to sampling a 2.0-liter for comparison, and Civic buyers should drive both. When equipped with the CVT, both the 2.0-liter and 1.5-liter turbo Civics are rated for 31 mpg EPA city, and the turbo’s 42 mpg city beats the 2.0-liter by one mpg. Impressive, because both engines top the Toyota Corolla Eco’s 40 mpg highway rating, even as they easily beat the Eco’s 140-horsepower rating. The tested 2016 Civic Touring lived up to its name by giving a comfortable ride, with well-damped impacts and controlled body motions. 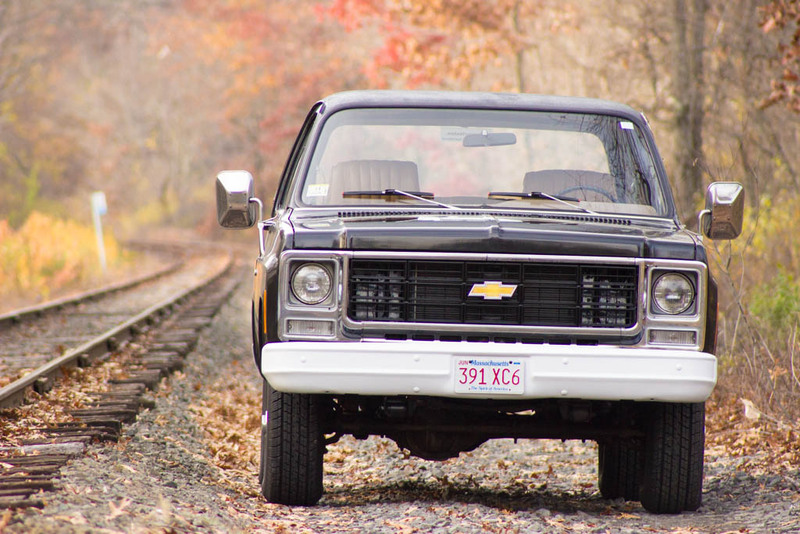 The electric steering felt remote, but that was partly countered by its reassuring heft. 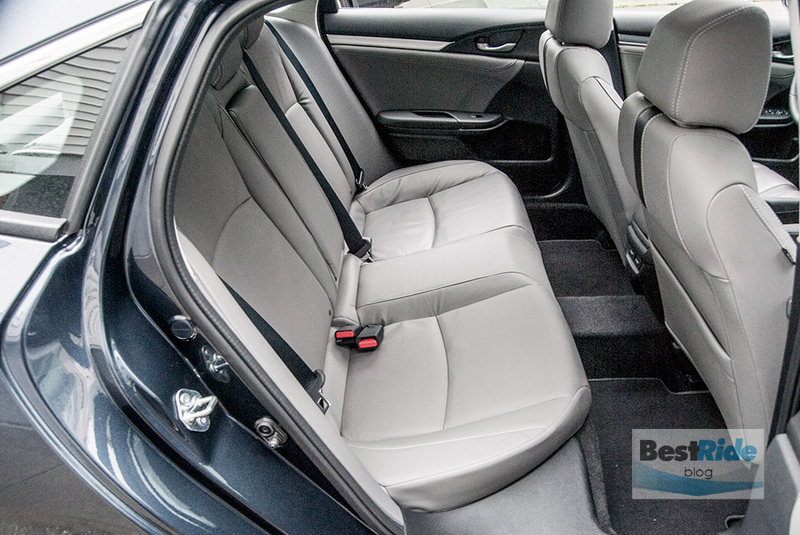 Front seating is the Civic’s clear forte: these perches are cozy and supportive. …and the driver’s cushion tips up via power adjustment for bracing thigh support. There’s no adjustable lumbar support, but it wasn’t missed. 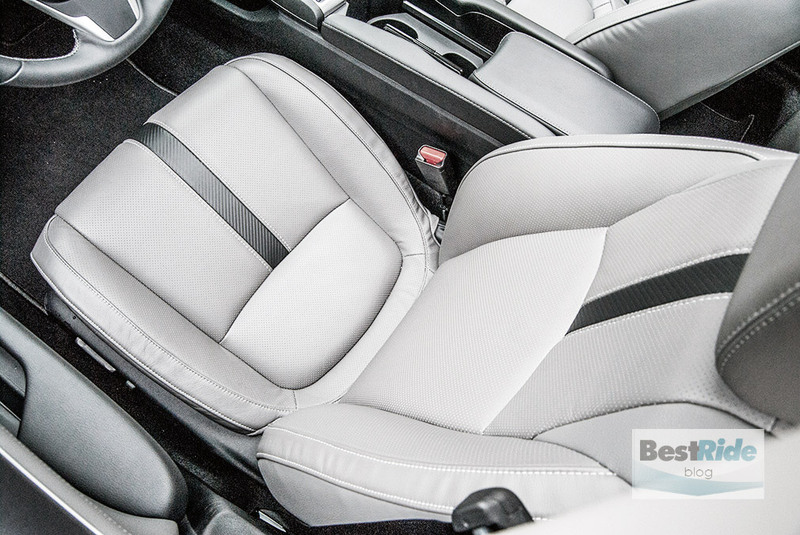 The rear seat was surprisingly roomy, with enough head and leg room for a six-footer to sit behind another six-footer, even under the fastback roof. 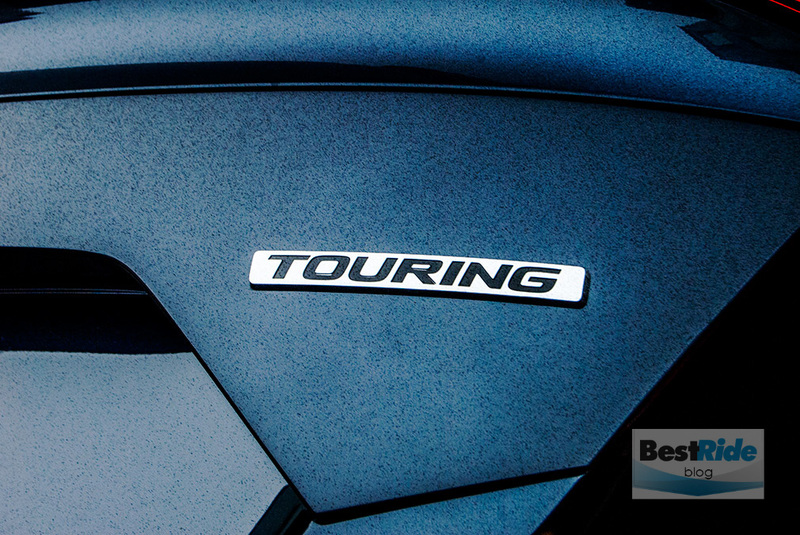 The Touring includes heaters for the two rear outboard positions, a luxury touch. 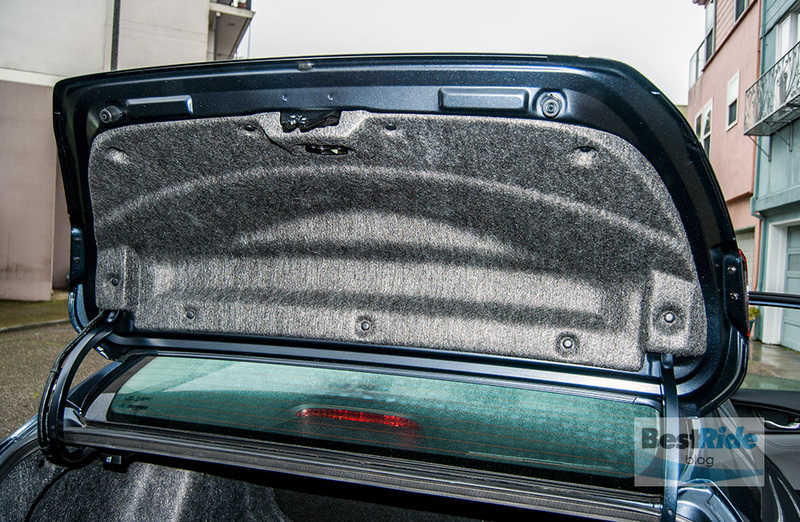 The Civic’s trunk opening isn’t very deep, and that’s typical of sedans with steeply raked rear glass. 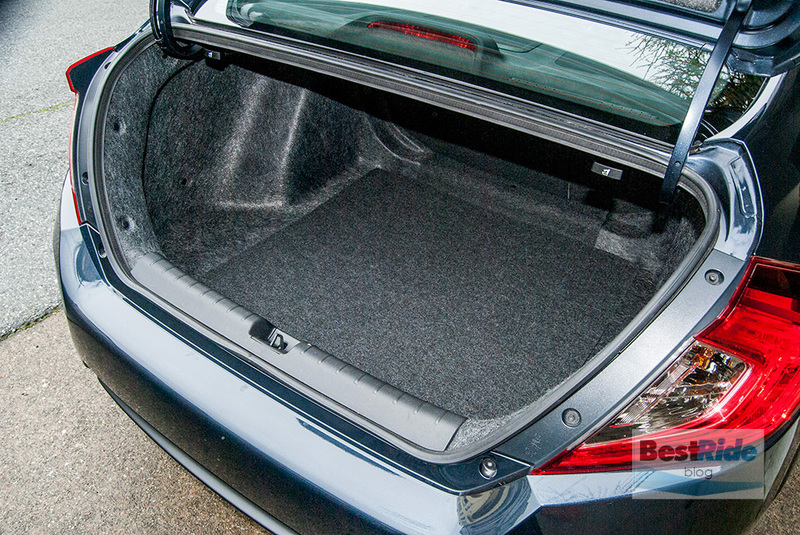 At just under 12 cubic feet, the Civic’s trunk capacity is comparable to a Toyota Corolla’s 13 cubic feet. 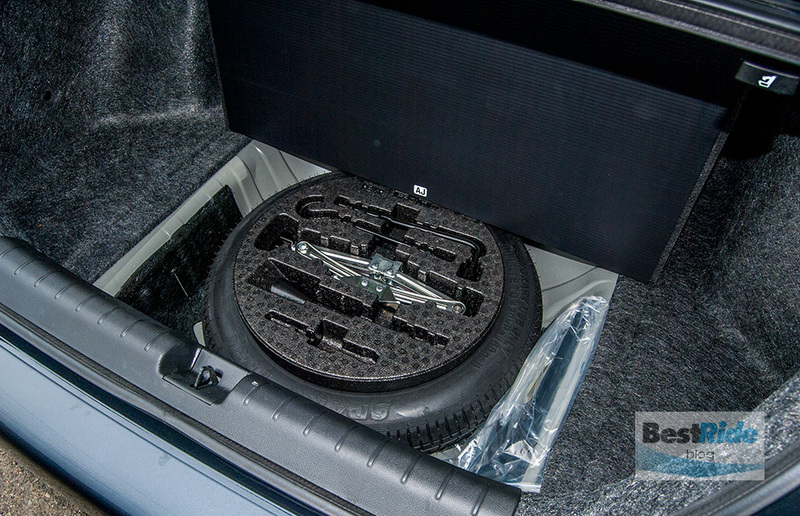 There’s a compact spare under the floor, with room enough for incidentals. 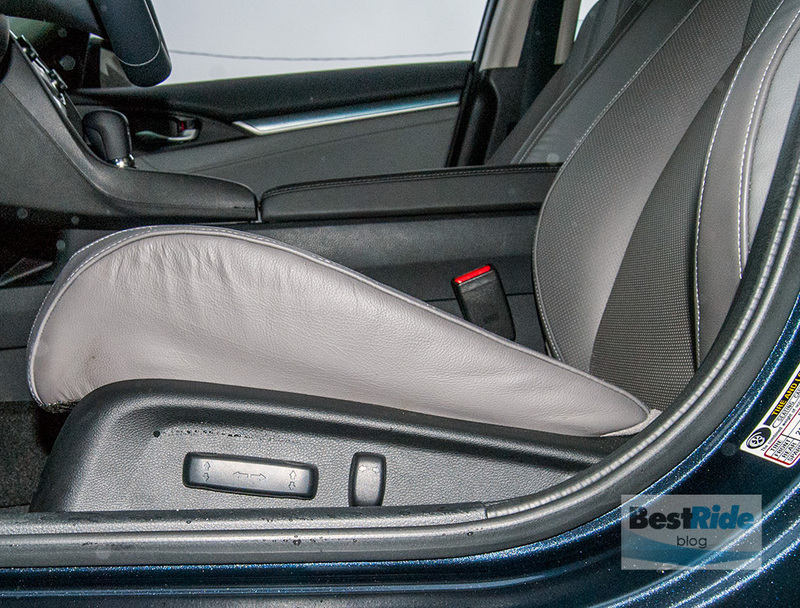 Oddly, Honda continues to omit a handle to pull down the trunk lid from the inside lining. It means you’ll have lots of fingerprints below the license plate, and you’ll pull back some dirty digits if you haven’t washed your Civic in a while. 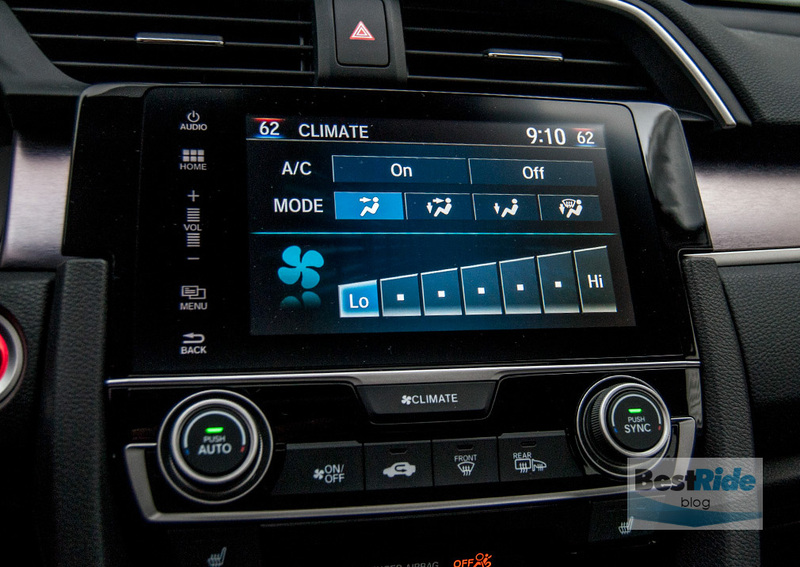 Honda continues to improve its infotainment interface, and this latest version is crisp and responsive. 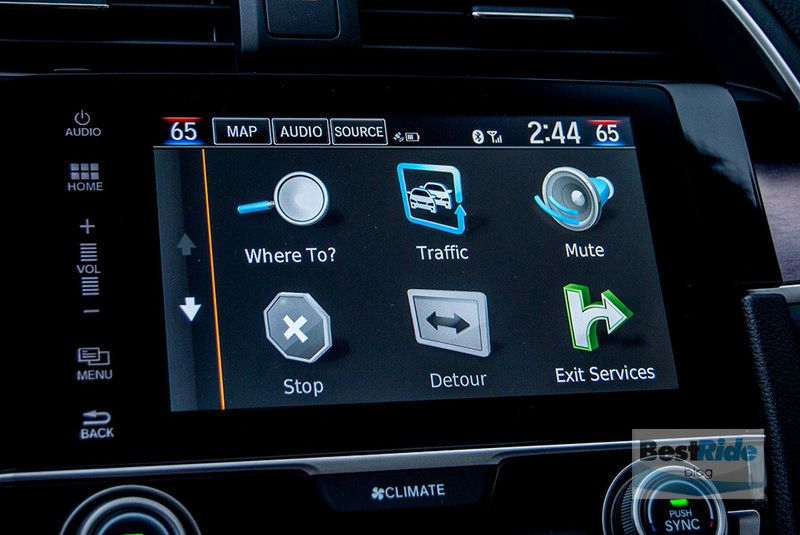 The Touring’s seven-inch screen is bright, and there are two USB ports for connectivity. My Android phone paired seamlessly via Bluetooth, with the only annoyance being the delay to restart the Spotify stream when turning the Civic off and on during errands. The keen graphics could be distracting, as the navigation screen constantly refreshed with boldly-rendered points of interest (POI). You could eliminate that by switching off the POI function. 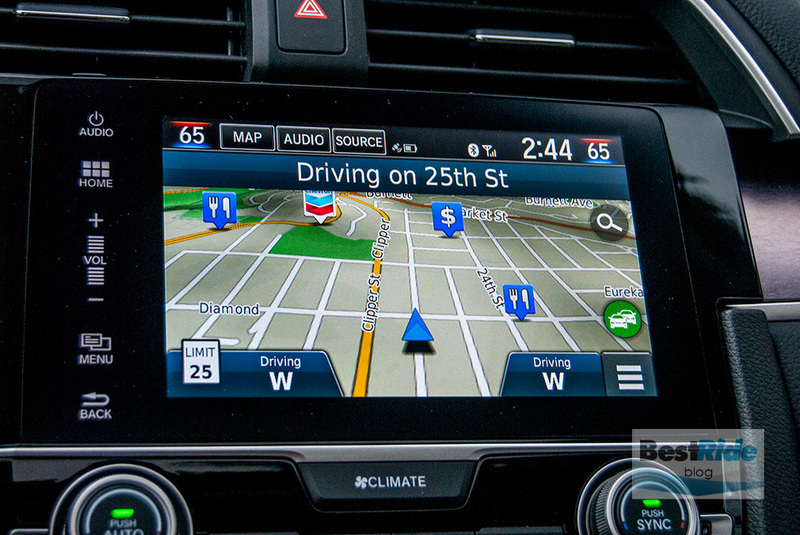 The navigation also had a positioning quirk; once while driving in San Francisco, it placed the car one street over from where we actually were. It corrected itself once we made it to the highway and didn’t do it again. The “Climate” button below the display immediately displayed those adjustments. We’d still like to see volume controlled by a physical knob instead of by touch. The Civic’s golden reputation has come from years of reliable service for millions of satisfied owners. 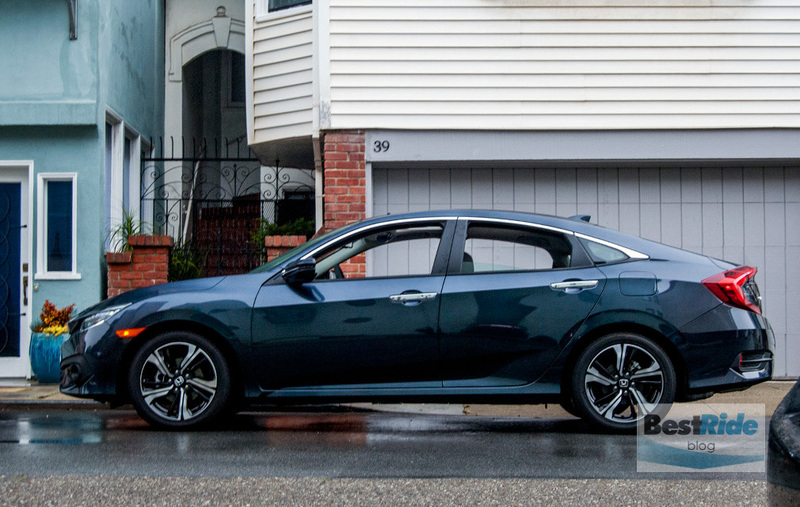 The Civic ranks with the Toyota Corolla as a default choice, the no-brainer, and the redesigned 2016 Civic has the comfort, roominess and technology to keep buyers coming back. The Civic’s biggest challenge is sharing the showroom floor with the superlative Honda Accord. While it lacks the Civic’s modern styling, the Accord is more satisfying to drive. The most fuel-efficient, non-hybrid Accord’s 37 mpg EPA highway rating is within shouting distance of the highest Civic’s 42 mpg. 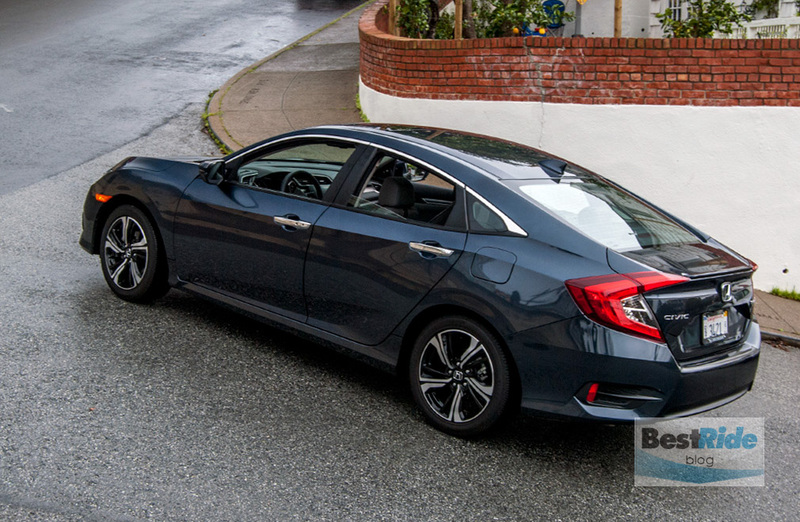 Since the Civic 1.5 T Touring’s $27K MSRP places it squarely into the Accord’s pricing mix, buyers would do well to examine both the compact and mid-sized Honda sedans and decide which is best. Both have much to recommend them, and one has a little more zing.